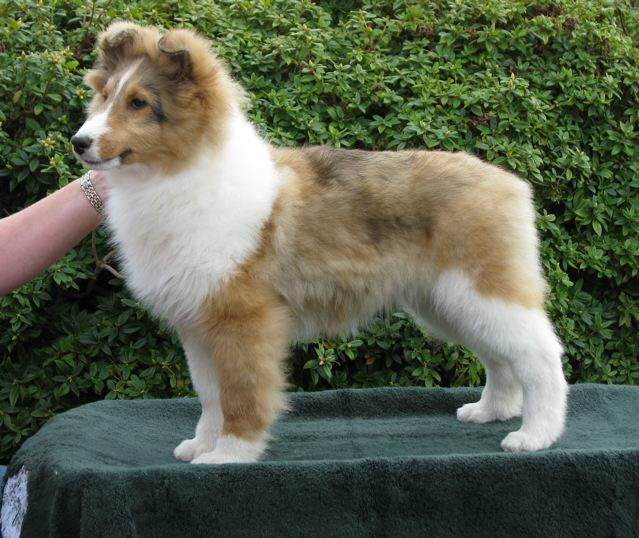 Mocha is making her home with Cindy Wilson of Chelson Shelties! 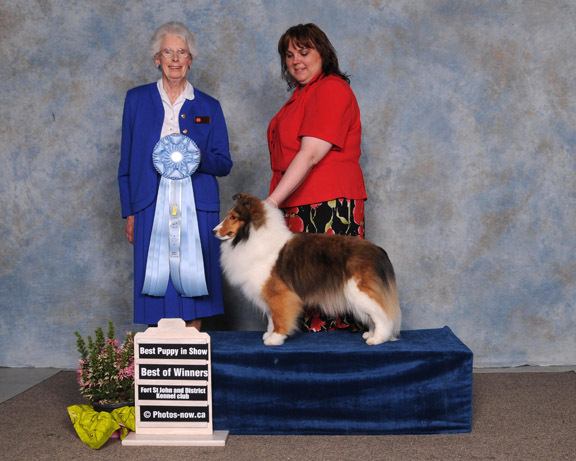 Mocha went to her 1st show in Canada and starts out with reserve winners and quickly moves up to take her 1st points and the Breed over Specials from the Puppy classes. Then picks up her 2nd set of points and a Best Puppy in Group, then quickly on to her 1st Best Puppy in Show! Whoo Hoo! pictured above at 4 months.